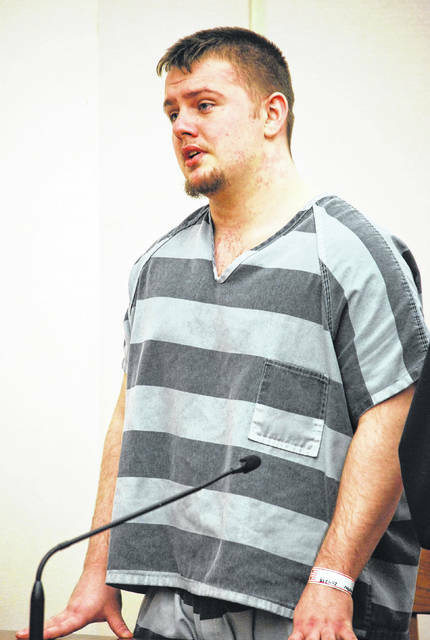 J Swygart | The Lima News Dalton Duncan fought back tears Monday morning as he was sentenced in Allen County Common Pleas Court to four years in prison in connection with the 2017 shooting death of Lima resident Damere Oliphant. J Swygart | The Lima News Dalton Duncan, 20, addressed Judge Jeffrey Reed during his sentencing hearing Monday in Allen County Common Pleas Court. Duncan’s attorney, Zachary Maisch, asked the court for leniency on behalf of his client. Maisch said Duncan “was not involved in setting up the drug transaction” that ultimately led to Oliphant’s death, adding that his client’s only role in the incident was to briefly push the victim to impede him from leaving the premises prior to the shooting. “This is something that never should have happened,” Duncan told the court. “I never know it was going to happen and I never wanted it to happen. I didn’t know what to do, your honor. I was frankly scared. I had no clue Gavin (co-defendant Lauck) was gonna do what he was going to do. “I’m not a bad guy. Please, sir, I’m not a bad guy,” Duncan told Reed. Dalton was indicted by an Allen County grand jury on charges that included murder and involuntary manslaughter in the March 27, 2017 shooting death of Oliphant. Two of his co-defendants faced identical charges. Gavin Lauck, 20, the trigger-man in the shooting death was sentenced to 18 years to life in prison on a charge of murder. Collin Dysert, 20, was sentenced to 15 years in prison for his participation in the drug deal that ended in Oliphant’s death. A fourth Lima man has been indicted by an Allen County grand jury on involuntary manslaughter charges in connection with Oliphant’s death. Gregory Brown, 21, has been identified as the get-away driver in the drug deal gone. He was initially indicted nearly a year ago but eluded police until his arrest in December. 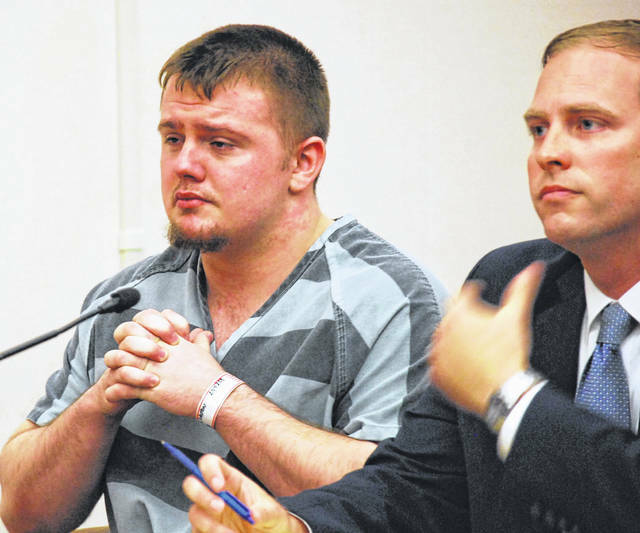 https://www.limaohio.com/wp-content/uploads/sites/54/2018/05/web1_Dalton-sentenced-1.jpgJ Swygart | The Lima News Dalton Duncan fought back tears Monday morning as he was sentenced in Allen County Common Pleas Court to four years in prison in connection with the 2017 shooting death of Lima resident Damere Oliphant. https://www.limaohio.com/wp-content/uploads/sites/54/2018/05/web1_Dalton-sentenced-2.jpgJ Swygart | The Lima News Dalton Duncan, 20, addressed Judge Jeffrey Reed during his sentencing hearing Monday in Allen County Common Pleas Court.